New Rochelle, NY, September 10, 2018–Researchers investigating the use of Twitter to propagate or debunk conspiracy theories related to the 2015-2016 Zika virus outbreak analyzed the content of more than 25,000 Tweets and the characteristics of the social networks used to disseminate them. The analysis showed that Tweets intended to propagate conspiracy theories were spread through a more decentralized network than debunking messages. The findings are reported in an article published in Cyberpsychology, Behavior, and Social Networking, a peer-reviewed journal from Mary Ann Liebert, Inc., publishers. 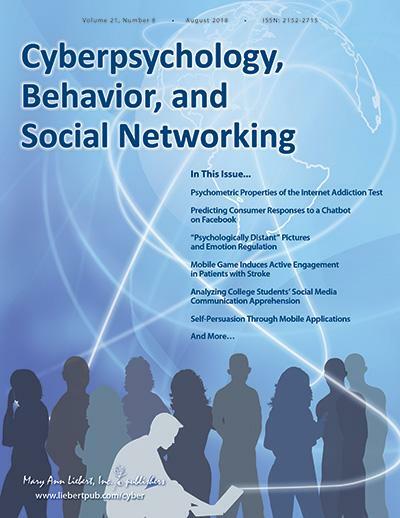 Click here to read the full-text article on the Cyberpsychology, Behavior, and Social Networking website. In the article entitled "Propagating and Debunking Conspiracy Theories on Twitter During the 2015-2016 Zika Virus Outbreak," author Michael J. Wood, PhD, University of Winchester, U.K. concluded that, in comparison with debunking messages, using Twitter to propagate conspiracy theories was more likely to involve the use of rhetorical questions and a greater number of claims with explicit references to authorities. In this way, the study established that conspiracy theories can be considered a form of rumor and can be analyzed based on rumor theory. "Though conspiracy theories are nothing new, the advent of social media has created a conduit for more rapid spread of these rumors," says Editor-in-Chief Brenda K. Wiederhold, PhD, MBA, BCB, BCN, Interactive Media Institute, San Diego, California and Virtual Reality Medical Institute, Brussels, Belgium. "Public health agencies can help alleviate anxiety and fear in the population by using these same channels to provide more accurate and reassuring messages."